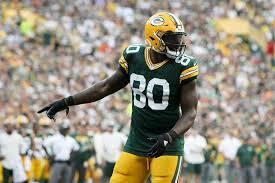 1) Will Martellus Bennett really retire after this season? Probably not, but the $20 million disappointment almost certainly won’t be back in 2018. 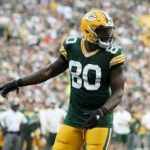 Look for the Packers to release the veteran tight end before having to pay him a $2 million roster bonus in early March. Should Bennett retire prior to then, he would have to return 2/3 of his signing bonus – which equates to over $4 million. Why in the world would he do that? Regardless of what happens after the season, the decision to swap veteran tight ends has proven to be a very big mistake. While Bennett has talked and played like a man already thinking about life after the NFL, Jared Cook is having the finest season of his career in Oakland. 2) Will Brett Hundley play better tonight than he played against Minnesota and New Orleans? Yes. Hundley is too physically talented to keep performing like a poor man’s Scott Tolzien. And having 15 days to prepare for the Lions should be very beneficial. That said, there are a couple of reasons to be concerned about the former UCLA star. One is his accuracy, which has been an issue since college. The other – and this worries me even more – is the lack of improvement he’s shown since being drafted. In fact, Hundley’s most impressive summer came three years ago as a rookie. That’s very unusual and very troubling. It’s also why I have no idea what to expect from him going forward – other than to confidently predict his rating will go up from 40.5, which currently ranks last among QBs who have attempted at least 18 passes. 3) How much will the loss of Kentrell Brice affect the defense? Very little. In fact, the defense has a chance to be better without the second-year safety. As I predicted all offseason, the media darling and fan favorite played like a JAG (just another guy) prior to injuring his ankle against the Saints. He had an interception and a few nice hits, but for the most part was not much better than the litany of mediocre (at best) safeties who started games for the Packers earlier this decade. And while there’s no guarantee rookie Josh Jones will even perform up to that low standard, it’s time to find out. General manager Ted Thompson didn’t spend a second-round pick on the former North Carolina State star to watch him sit on the bench while Brice did his best worst impersonation of M.D. Jennings. 4) What can we expect to see from Vince Biegel, who was activated off the PUP list on Saturday? Considering he hasn’t hit anyone since the Cotton Bowl 10 months ago, it’s unfair to expect too much from the fourth-round pick. Then again, considering how ineffective young backup outside linebackers Kyler Fackrell and Chris Odom have been so far this season, it’s fair to expect Biegel to be a fairly significant upgrade. The former Wisconsin star was a better college player than Fackrell and Odom – and not because he’s more talented. Biegel was the better college player because he has great instincts and a motor that never stops. And while neither of those things guarantees success at the next level, it should guarantee that the drop off when starters Clay Matthews or Nick Perry leave the game won’t be quite so dramatic. The pick – Even without the great Aaron Rodgers under center, this is still a game the Packers should find a way to win. 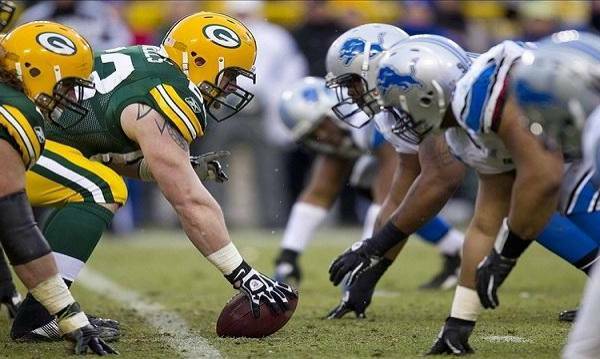 They’re at home and have had 15 days to prepare for the suddenly reeling Lions (3-4). If Hundley doesn’t get his first victory tonight, it’ll be fair to start wondering if and when it will happen.